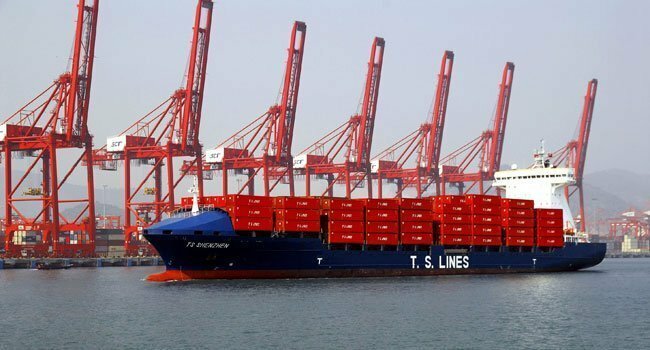 Taiwanese containership operator TS Lines is planning to expand its self-owned fleet further as part of its fleet reorganisation plan. TS Lines took delivery of the first one of four 1,800 teu containerships ordered at CSBC on Friday, with the remaining three to be delivered this year. According to T.S. Chen, chairman of TS Lines, the company plans to order another four feeder containerships. The company is set to order two 1,000 teu vessels and two 2,800 teu vessels for the next phase of its fleet expansion and will start negotiations with CSBC this week. The company is also looking for opportunities to acquire 4,000-6,000 teu secondhand vessels. TS Lines currently operates 49 shipping routes with a fleet of 32 vessels, only two of which are owned.